We’re so glad you want to know more about us and our little company! 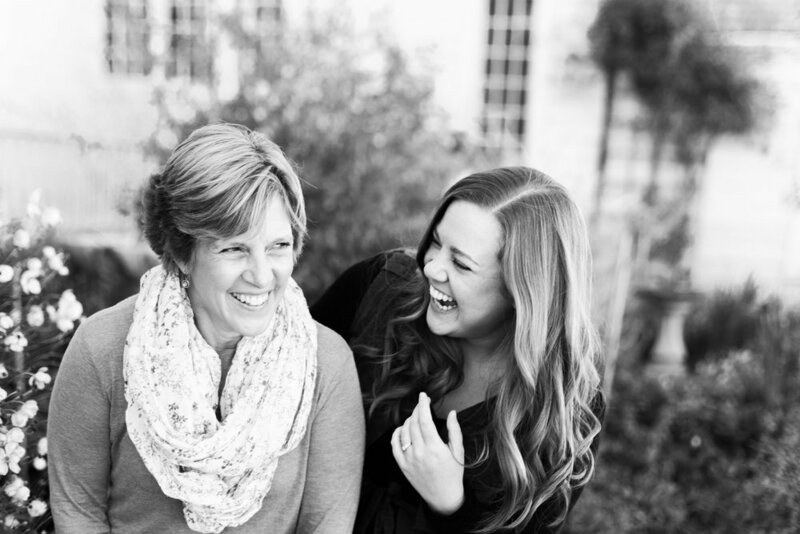 We are a mother-daughter (and sometimes Husband or Friends and Family) team that does it all. Together we run every aspect of Rosewood, answering calls, emails, appointments, even delivery (I’m the truck and trailer driver, and my Mom is the expert UHaul trucker). We’re entering our thrid year of owning this amazing business in the best possible place to live. We love what we do for not only brides and grooms, but anyone looking to make their event special. Rosewood Baby Coming Early August 2019!! We are beyond excited that after three long years-the time has finally come, and we are so ready! Already, our little boy or girl nugget has turned our world upside-down with morning sickness (even on vacation 😩). We still cannot believe this has finally happened!! And of course Lil’D is going to be THE BEST GRANDMA EVER!!! It’s going to be a good summer.